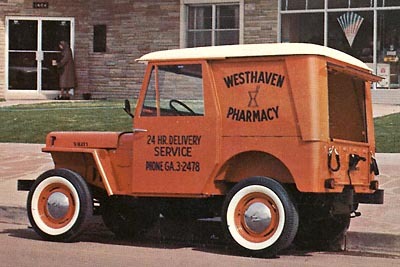 The postal jeep has gone through a lot of changes throughout the years. 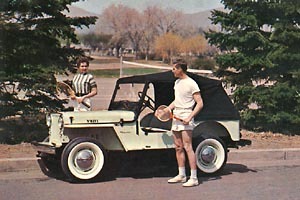 I put the postal jeep web site together because I have always liked the postal jeep. While you may still see some postal jeeps in rural areas, there are not too many on the road anymore. If you are lucky, you might be able to pick up a used postal jeep. 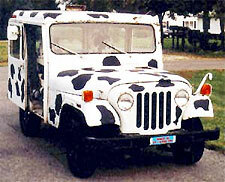 Please browse through this web site to learn about the postal jeep and the history behind it. The two-wheel drive Willys DJ-3A "Dispatcher" has a lot in common with the CJ-3B, besides dating from the same era. 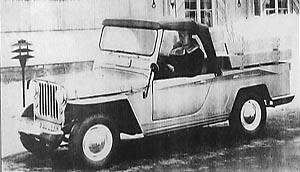 It was cheap Jeep whose design was largely on efficiency, practical recycling of existing tooling and technology. It is largely unknown today in North America; people are always trying to figure out what postal jeep this is. 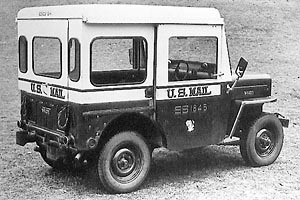 The Postal Jeep has gone through a lot of changes through out the years. The DJ made its debut in 1955, advertised both as a convertible recreational vehicle (a bit ahead of its time) and as America's Lowest Priced Delivery Vehicle. Designed around the body style and L-134 engine of the former CJ-3A, the Dispatcher was the first Jeep since the early CJ-2A to have a steering column-mounted gearshift. Another characteristic was the 4-bolt wheels, hidden by hubcaps in this ad photo from the collection of Todd Paisley. 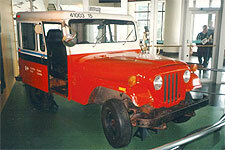 The postal jeep DJ-3A was used for all kinds of light-to-medium-duty jobs that didn't require four-wheel drive, including a hardtop delivery version. On the other hand, this 1958 concept of a mini-pickup version of the Dispatcher, did not go into production. Too bad for the postal jeep! A Willys 1958 Engineering Release mentions six Post Office 3B-based prototypes as having been produced. This earlier prototype was photographed in March 1954. Presumably any production models, if they had been built, would have been two-wheel drive, but this vehicle appears to be four-wheel drive. There is no evidence that Willys used the designation DJ-3B.